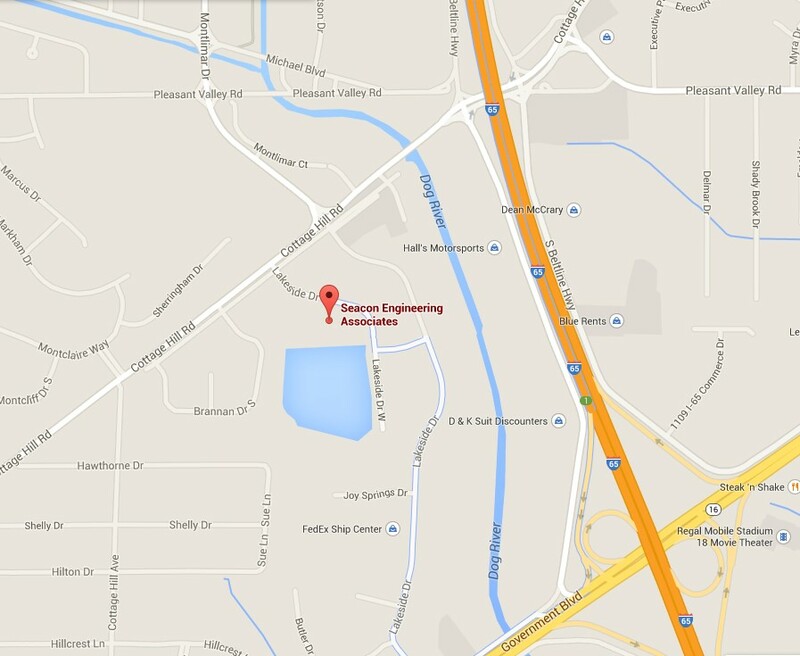 We are located just west of I-65 between the Airport Boulevard exit and the Highway 90 Government Street exit. Turn right onto Montlimar Dr.
Cross Cottage Hill Road and turn right onto the Cottage Hill Service road. Turn left onto Lakeside Dr. West. We are on the right (at the north end of the lake). Take the Airport Blvd. West exit. Turn left onto Montlimar Dr.